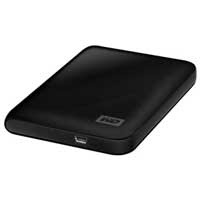 This weekend I picked up a WD My Passport 1TB drive for $199. That's right, a terabyte in the form factor of a deck of cards for less than $200. It's powered by the USB bus so it requires only the USB connection and no external power. Besides the fact that it's a huge amount of storage in a fast, tiny footprint, it also comes with some great software as well. WD SmartWare is impressive so far. Simply install it and the program backs up your system and then monitors for file changes. When a file changes, it backs it up automatically on the fly. No more thinking about doing backups! Of course, I'll continue to run Time Machine and do other backups as well, but this is pretty slick and a great thing for people who are "too busy" to backup.